A Classic! 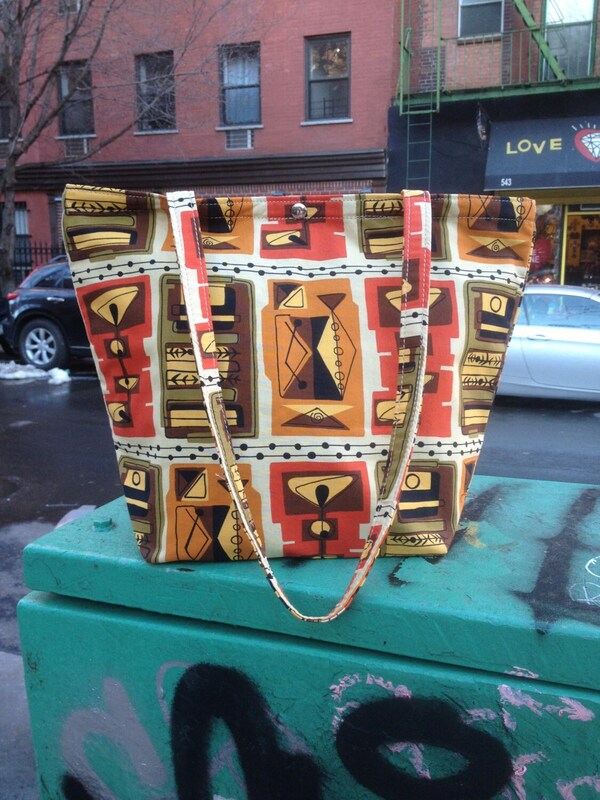 This cotton print tote bag has a gorgeous gold, orange and brown mid century modern style print somewhat depicting martini glasses. The interior is lined with a black lightweight water repellant canvas and there is one inside pocket that is 9"x4".